A native of Japan, Eiji Mori has led a distinguished career in the restaurant industry since he came to the United States at the age of 20. Today, Eiji Mori serves as the executive general manager of Sushi Roku Newport Beach, one of the most successful sushi restaurants in California. Though sushi restaurants are now common in cities and suburbs throughout the United States, this was not always the case. Until fairly recently, sushi was difficult to find away from the coasts and considered by many Americans to be a rare and mysterious delicacy. 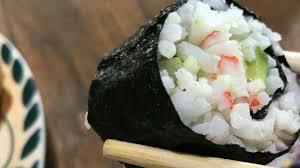 Originally a street food in Japan, sushi -- a term that actually refers to the type of rice that traditionally comes with the raw fish -- dates back more than a thousand years. However, it wasn’t until the 20th century that the dish made its way to the United States. Though some food historians believe that sushi first arrived in the US in the 1950s, most agree that sushi first became firmly established in the late 1960s with the opening of Kawafuku Restaurant in Los Angeles. As sushi’s popularity spread in Los Angeles, especially with celebrities, more Japanese chefs immigrated to the US to open their own spots in California. The increasing proliferation of sushi restaurants dovetailed with a general surge in popularity of Japanese culture, and by the 1980s sushi restaurants were opening throughout the United States. Today, the American craze for all things Japanese shows no sign of slowing down, and sushi has become a staple part of the diet for millions of Americans. According to industry statistics, by 2017 there were more than 4,000 sushi restaurants generating over $2 billion in revenue each year. Since 2015, Eiji Mori has served as the executive general manager of Sushi Roku, an Innovative Dining Group (IDG) restaurant in Newport Beach, California. Prior to this, Eiji Mori served as the general manager of Katana Sushi and Robata Bar, where he was the Sake Sommelier of all of IDG restaurants. Sake (a Japanese alcoholic beverage) is divided into several classification grades based on how much of the rice kernel is ground out during the milling process and how much alcohol is added to the brew. 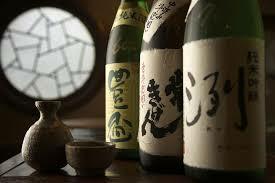 There are four basic sake grades. 1. Junmai - Junmai sake consists only of rice, koji, water, and yeast. Since there is no distilled alcohol in this type of sake, it tends to have a fuller flavor and is a bit heavier than other grades. 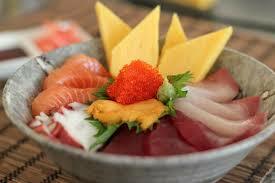 It also has a slightly higher acidity level and works well with a variety of foods. 2. Honjozo - Made from rice that has been milled at least 30 percent A small amount of distilled alcohol is added to this type of sake to improve its flavor and aroma. 3. Ginjo - When ginjo sake is brewed, at least 40 percent of the rice kernel is ground away. This creates a light and fragrant sake that is complex and layered. Ginjo sake can be made with added alcohol, as is the case with honjozo, or without added alcohol, like junmai. 4. Daiginjo - At least 50 percent of the rice kernel is milled out when daiginjo sake is brewed. Similar to ginjo sake, daiginjo sake is light, fragrant, and fruity, and can be either a junmai daiginjo, meaning no alcohol was added, or a honjozo daiginjo. An alumnus of Japan's Gifu Commercial and Business High School, Eiji Mori has served as executive general manager of Newport Beach, California's Sushi Roku since 2015. Additionally, Eiji Mori holds distinction as a sake sommelier from the Japanese Sake Service Institute. While sake has been commonly served warm in the past, it is now typically served chilled in response to brewery technology advances which cause heat to destroy its flavor profiles. 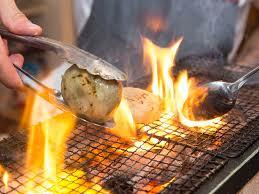 Yet, if it is served too cold, its flavor components can be masked similarly to wine when it's served cold. 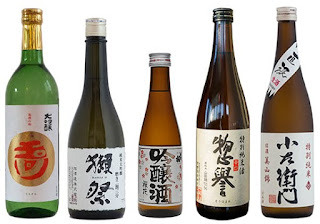 Different sakes are best served at different temperatures but, as a general guideline, if you choose to have warm sake, serve it between 100 and 104 degrees Fahrenheit. It can be warmed by placing the flask in a saucepan of warm water. In Japan, pouring sake for others is a common custom and a form of social bonding. The sake is often kept in a large flask known as a tokkuri and it is poured into smaller cups, known as guinomi or ochoko, to allow for frequent refills. The tokkuri should be grasped with two hands when pouring, while the person receiving should hold the glass off the table with one hand and support it with the other. In more informal situations, it is fine to abandon the above rituals after the first round and pour for yourself.